OLD PARKED CARS. 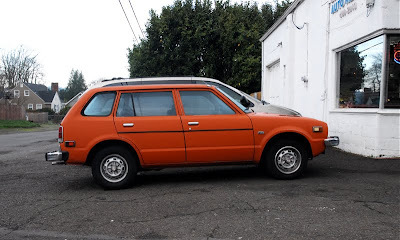 : 1976 Honda CVCC Civic "Runabout" Wagon. 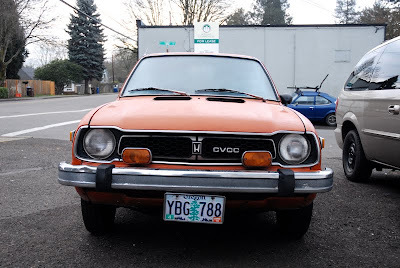 1976 Honda CVCC Civic "Runabout" Wagon. psh, unbelievable. i'd trade in our orange element for this. Best of 2010. I don't think I've found another wagon that has excited me this much. 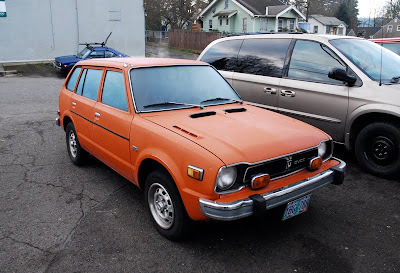 Nice wagon for sure, but there's no such thing as a Civic "Ronabout". That's actually a Ford Runabout emblem that someone stuck on there. 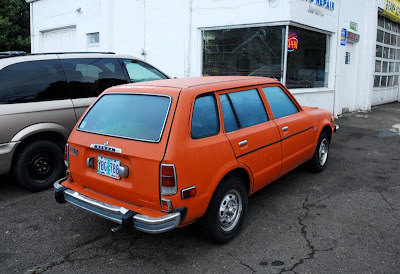 Nice wagon for sure, but there's no such thing as a Civic "Runabout". Someone just stuck a Ford Pinto Runabout emblem on there. Sad but true, as previously proven here. It's just such a great name, and it fit the wagon so well I never even questioned it. Thanks Sue! Actually, I just bought this car! 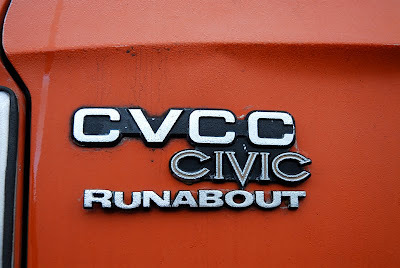 I was searching for "CVCC Runabout" because I hadn't heard of it and ran across it here. It is currently sitting in my garage and in just as nice condition as the pictures here. The internet is weird.